Immaculate 2 bed/2 bath Baldwin Park Condo is move-in ready and waiting for you! 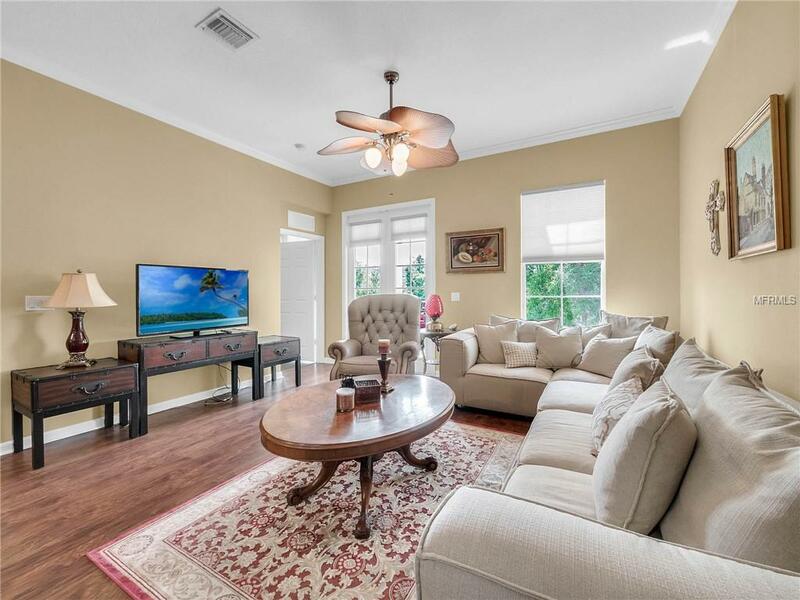 This Gorgeous Home features an Open Floor Plan with Beautiful Wood Floors and Crown Molding with High Ceilings and lots of Natural Light. The Lovely Kitchen has 42" cabinets, pretty tile backsplash, Stainless Steel Appliances and lots of Counterspace. 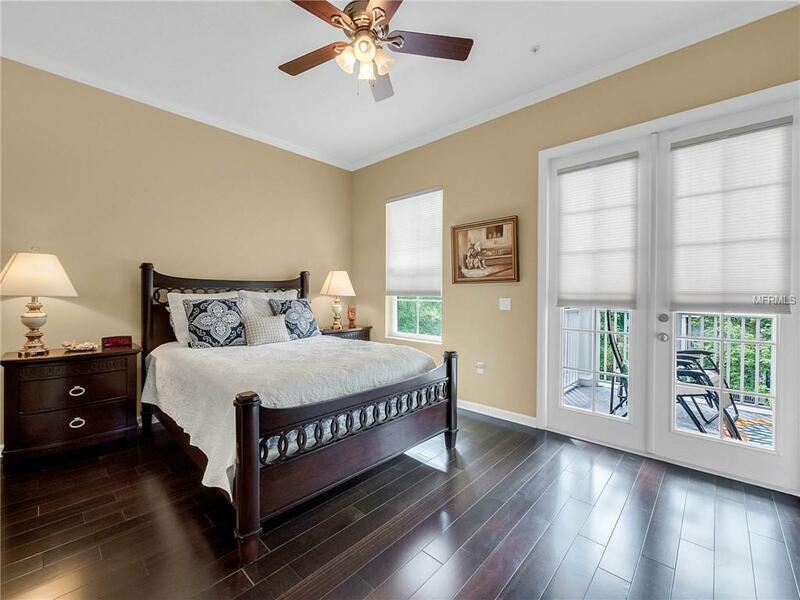 The Large Master Bedroom has a Huge Walk-in Closet and a Master Bathroom with Dual Vanities. The Second Bedroom also has Wood Floors and a Big Double Closet. The Second Bathroom is Oversized with a tub/shower and large vanity. 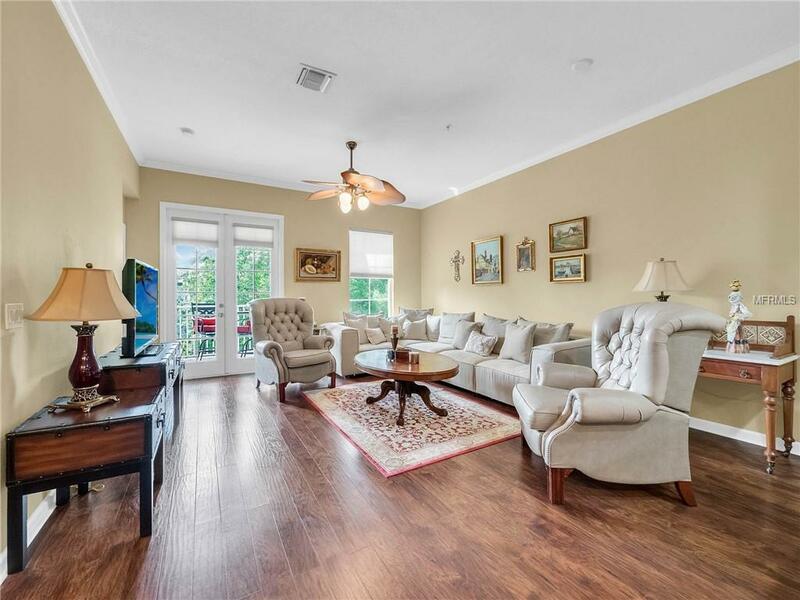 The Covered Outdoor Porch has two sets of French Doors and Plenty of Space for enjoying the Beautiful Greenery that is Abundant in Baldwin Park. You also will have your own Private One-Car Parking Garage! This is a Top Floor Unit - so no neighbors above you! This home is located in the heart of Baldwin park. It is just a 5 minute walk to Publix and a short stroll to the Lake and Baldwin Park's Town Center, featuring great dining and shopping options. Residents of Baldwin Park can also enjoy three community pools, a fitness center, community hall, and bike/run paths. 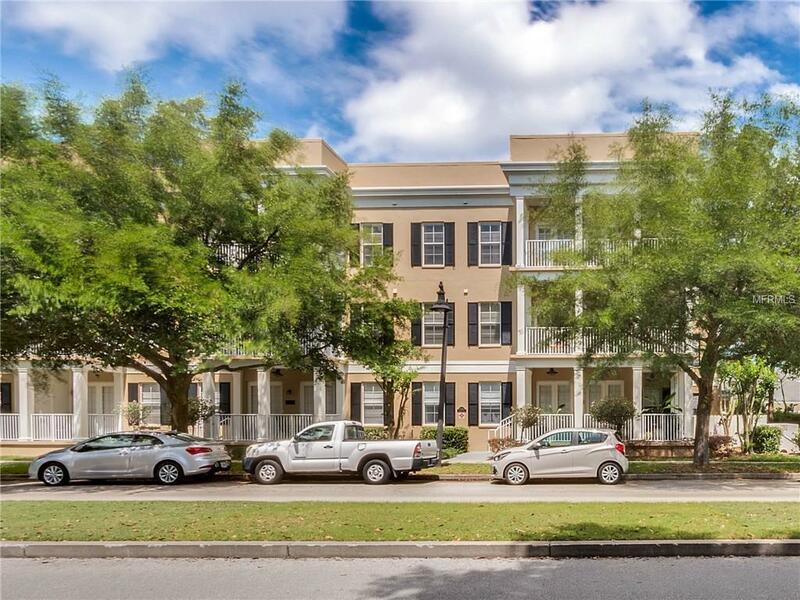 It is also conveniently located to nearby Downtown Orlando, Winter Park, Rollins College, Audubon Park Garden District, and so much more!